This tip is for creative departments. A creative department is not as good as its best talent. It’s only as good as its worst. Creative people are individuals with their own thoughts, ideas, and concepts using different angles to come up with a design processes. If you continually have to redesign your creatives, send press releases for addressing incorrect information that has been published, IT IS costing you money. 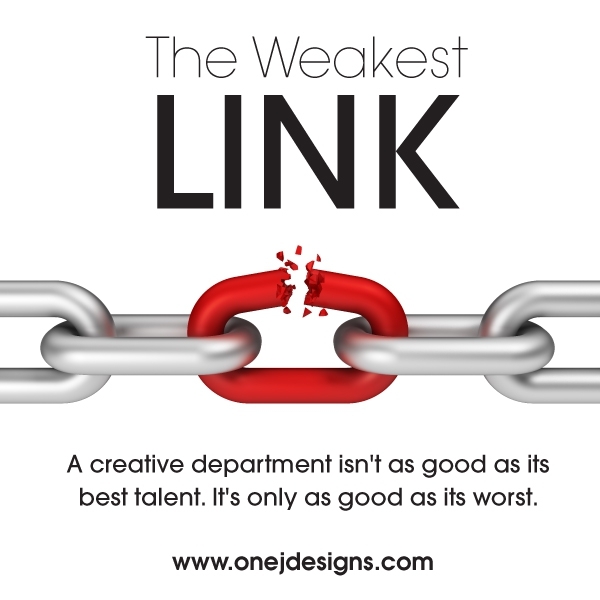 Find out where the weakest link is and decide whether it’s time to move them on or if it’s time to offer classes and hope that they develop their skill set. Posted by Noami & filed under Graphic Design Tips. This post has no comments yet.